PLANTRONICS HEADSET SOLUTIONS FOR MICROSOFT LYNC UC & VOIP USERS - Headsets Direct, Inc.
Microsoft Lync Headsets from Plantronics make your UC and VoIP experience a productive and seamless transition. 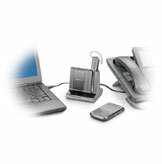 Certified Lync Headsets from Plantronics ensures easy setup and use. 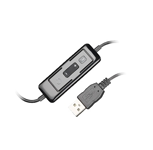 Plantronics Headset Solutions for Microsoft Lync UC & VoIP users! 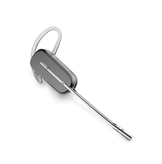 Plantronics audio devices enable people to communicate comfortably and confidently regardless of location with plug-and-play simplicity, proven compatibility, and high-quality audio at a variety of price points, and are all optimized to seamlessly integrate with Microsoft® Lync™ 2010. Collaborate Effortlessly with Plantronics Headsets.Plantronics audio devices assist Microsoft users to become more accessible, make the right connections and communicate between the right devices by diverting calls between softphone, mobile and desk phones. Connect Completely with Wireless Headsets.Plantronics audio wireless devices offer seamless DECT or Bluetooth connectivity with Microsoft to ensure productive communications as you roam your environment. Plantronics -M Headset Series.Plantronics has engineered a series of headsets specifically for use with Microsoft Lync. Plantronics headsets with a model number ending with -M are Microsoft Lync Certified and provide one-touch answer/end call functionality. USB Plug-N-Play with Plantronics Headsets. Using headsets to enhance your UC experience has never been so easy with Plantronics commercial grade USB corded and wireless headsets. For over 50 years Plantronics has pioneered the lightweight headset, the mobile headset and noise-canceling technology, always driven by a single obsession: remove the barriers to simply smarter communications. Just give us a quick call at 1-800-914-7996 or order Microsoft Lync Plantronics headsets online. What is UC or Unified Communications? Unified Communications is the integration of real-time communication services (instant message, presence, telephony, and video) with non-real-time communication services (voice-mail, email, SMS text messaging and fax). This allows a user to use any device (PC, smart phone, tablet) to send/receive messages and use different means to continue a conversation. For example, you receive a voice-mail but read it as an SMS text message or email and then reply by instant message. In summary…All forms of communication work in conjunction with all of your electronic devices. Microsoft Lync is a software program that connects to a Lync Server (local or cloud based) to show your presence (availability) for instant messaging, VoIP telephony calling and video conferencing. This allows teams of people to simultaneously work on the same document and communicate at the same time. What is a Certified Microsoft Lync Headset from Plantronics? A Certified Microsoft Lync Headset will have specially designed technology to allow one-touch call answer/end capability when used with Microsoft Lync. This increases your productivity and ease of use for telephony and video calls. How do I get my Lync Headset to answer a call when I’m away from my desk? With Microsoft Lync certified headsets from Plantronics, you simply press the button on the headset to take a call. Plantronics headsets that include -M in the model are Microsoft Lync certified and provide call answer/end capabilities.